While we’re busy fretting about the future of books, here’s a little good news: contrary to popular opinion, reading is up. 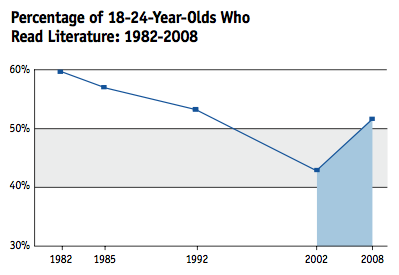 Everyone is reading more, across all ages, demographics and ethnicities. Graph, news shamelessly stolen from Chris Pearson.